Water, Water Everywhere, Not a Drop to Drink! Project 9: Is your water safe to drink? #CO707a Watch on Cell Phone: http://bcove.me/g2b9skrx. 2. Read Section 7.6 “Softening Hard Water” plus read Section 7.7 “Purifying the Water We Drink”. b. In my duel tank Ion Exchange unit at my home, the brine tank uses Potassium chloride instead of Sodium Chloride ($25 per 40 lb instead of $6 per 40 lb) Why? c. Then to drink the water in the kitchen a small reverse osmosis system is under the sink with a small faucet and also hooked to the refrigerator. Why? 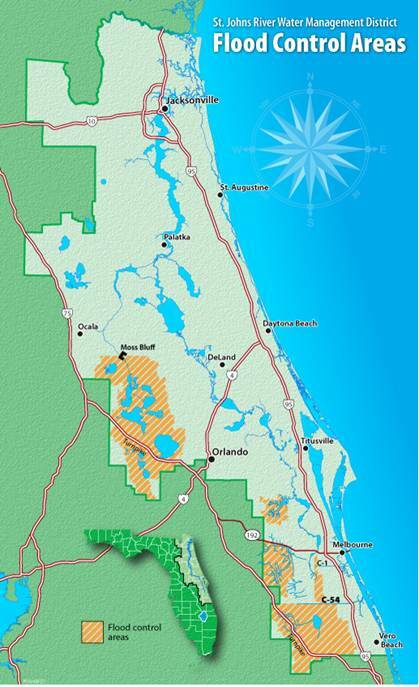 What is the Florida Water Star Program? iii. what about lead levels and other heavy metals? iv. Do you purchase bottle water? Why? Do you drink the water from water fountains in public. Do and show the math. Discuss bottle water versus public drinking water. How much bottle water is sold in the U..S.? The Annual Water Quality Report provides information on JEA’s water treatment systems and answers frequently asked questions. vi. Who is Marc Edwards and research the Flint, Michigan water poisoning. Write a one page summary and your opinions about our local water. Marc Edwards (born 1964) is a civil engineering/environmental engineer and the Charles P. Lunsford Professor of Civil and Environmental Engineering at Virginia Tech. An expert on water treatment and corrosion, Edwards's research on elevated lead levels in Washington, DC's municipal water supply gained national attention, changed the city's recommendations on water use in homes with lead service pipes, and caused the Centers for Disease Control and Prevention to admit to publishing a report so rife with errors that a congressional investigation called it "scientifically indefensible". He is considered one of the world's leading experts in water corrosion in home plumbing, and a nationally recognized expert on copper corrosion. Edwards was named a MacArthur Fellow in 2007. The program cited him for "playing a vital role in ensuring the safety of drinking water and in exposing deteriorating water-delivery infrastructure in America’s largest cities". In 2004, Time magazine featured him as one of the United States' most innovative scientists. Edwards's research in the mid-1990s focused on an increasing incidence of pinhole leaks in copper water pipes. Homeowners contacted him about the leaks, some of which were occurring 18 months after installation. After a century of using copper for water pipes, the expectation is that they will last for 50 years in residential applications. The District of Columbia Water and Sewer Authority (WASA) funded Edwards's research into the cause of the leaks. A group of Washington, DC homeowners asked Edwards to investigate their corroding copper pipes in March 2003. Suspecting the water, he tested for lead. The accepted limit for lead in drinking water is 15 parts per billion (ppb). Edwards's meter, which could read values up to 140 ppb, showed off-the-scale readings even after he had diluted the sample to ten percent of its original strength. The water contained at least 1,250 ppb of lead. "Some of it would literally have to be classified as a hazardous waste", he said. At the time, WASA recommended that customers in areas served by lead pipes allow the water to run for 30 seconds to one minute as a precaution. Edwards's tests showed that the highest lead levels occurred 30 seconds to a few minutes after the tap was opened. When Edwards brought his concerns to WASA, the agency threatened to withhold future monitoring data and research funding from him unless he stopped working with the homeowners. The Environmental Protection Agency (EPA) discontinued its subcontract with him. With his funding cut off, Edwards paid his engineering students out of his own pocket so that they could continue the research. After the Washington Post ran front-page stories in January 2004 about the problem, a Congressional hearing was held in March 2004 where Edwards testified. At the hearing, Edwards identified the cause of the readings as chloramine, a disinfecting chemical that had replaced chlorine in the water supply in March 2000. Chloramine-treated water, he said, picks up lead from pipes and solder and does not release it, resulting in elevated levels. Chloramine also doesn't break down over time, as chlorine does, so there is always some in the water system. Edwards also testified that WASA's attempts to replace lead pipes with copper pipes could exacerbate the problem, because the copper increases corrosion of the old lead. Following the discontinuation of chloramine treatment in 2004, Edwards and his colleagues continued to study the long-term effects of the elevated water lead levels; their article "Elevated Blood Lead in Young Children Due to Lead-Contaminated Drinking Water", published in the journal Environmental Science and Technology, won that publication's Editor's Choice Award for the best science paper of 2009. Referring to a study by the Centers for Disease Control and Prevention (CDC) that essentially dismissed the idea of health risks from DC's lead-contaminated water, Edwards wrote to James Stephens, the CDC's associate director of science: "Why is it that every child I have personal knowledge of, who had a strong chance of having elevated blood lead from water, is either deleted or otherwise misrepresented in the data that CDC has and used for this publication?" Edwards did not receive a response until March 2008, when Stephens wrote "We have examined CDC's role in the study and have found no evidence of misconduct." As a result of Edwards's research, the United States House of Representatives' science and technology subcommittee conducted a congressional investigation into the matter. They concluded that the CDC made "scientifically indefensible" claims that the lead levels in DC were not harmful, knowingly using flawed data. In the wake of the investigation, Edwards called for the CDC paper's senior author to resign. The day after the House report was released, the CDC released a public statement admitting to their errors. James Elder, former national director of groundwater and drinking water for the EPA, said "Had Edwards not gotten involved, this would never have come out". In 2010, the CDC said that 15,000 homes in the DC area might still have water supplies with dangerous levels of lead. Following Edwards's recommendation, the DC water authority now warns homeowners with lead water-supply lines to let the tap run for ten minutes before drinking or cooking. During his work on the Washington water quality, said Bill Knocke, head of Virginia Tech's civil and environmental engineering department, Edwards was so concerned about the public health impact that he was hospitalized due to the stress. In 2006, Edwards suggested that the EPA testing procedure for lead in tap water could miss elevated levels because it called for homeowners to remove the aerator from their faucet before drawing water for testing. The screen in the aerator, he said, could trap lead particles; if so, water drawn for testing would not reflect the full lead exposure experienced by people drinking from the faucet under normal use. In 2007, the University of North Carolina at Chapel Hill hired Edwards to investigate water-quality problems in three buildings. (When UNC asked its engineering faculty for guidance, their response was "We have two words for you—Marc Edwards.") He found "low-grade and fixable" lead contamination, which he blamed on "lead-free" brass plumbing fixtures. According to Edwards, Federal regulations permit up to 8 percent lead in "lead-free" brass fixtures, which can leach from the fixtures if the water is corrosive. He says that the Federal standard uses a water formulation that is remarkably tame compared to actual water supplies, allowing such fixtures to pass lead-leaching tests. Edwards provided a solution to UNC's problem: Accelerate the leaching of the lead by running each faucet at full flow for ten minutes, and then leaving it open at a trickle for three days, after which most of the lead had leached out. In a 2008 radio interview, Edwards noted that the United States has over five million lead water pipes, many of which are nearing the end of their useful life. "In some cases, you can take a single glass of water," he said, "and if you're unlucky, and it has that piece of lead in it, you can get a very high dose of lead, similar to that which you could obtain by eating lead paint chips." During the Society of Environmental Journalists' 2008 annual meeting, the group was given a tour of Edwards's lab. He told them that the number one cause of waterborne disease outbreaks in the United States is pathogens growing in home water heaters. Energy-conscious households may set their water heater's thermostat to 120 °F (49 °C), but that temperature encourages the growth of microbes such as mycobacteria. A setting of 140 °F (60 °C) would kill such organisms. Edwards says that infections from inhaling steam from contaminated water in the shower, or contact with contaminated water in a hot tub, kill an estimated 3,000 to 12,000 Americans each year. Responding to a 2009 Associated Press investigation of contaminants found in the drinking water of schools across the United States, Edwards was quoted as saying "If a landlord doesn't tell a tenant about lead paint in an apartment, he can go to jail. But we have no system to make people follow the rules to keep school children safe?" Edwards has also warned about the unintended effects of state-of-the-art water conservation techniques being used in new buildings. Systems such as rainwater capture and water recycling, he says, may reduce the flow of water from the city's system so much that the water remains in the plumbing for as much as three weeks before use. This can cause the water to pick up lead and grow bacteria. He has called for a more holistic approach to water quality monitoring. In 2011, the Robert Wood Johnson Foundation's Public Health Law Research Program funded a $450,000 study of the 1991 Lead and Copper Rule, an EPA regulation relating to drinking water. Edwards will spearhead the study. In fall 2015, Edwards and his team went to Flint, Michigan for a study that uncovered high levels of lead in drinking water coming from the Flint River which caused the Flint water crisis that has affected up to 12,000 people with lead poisoning. In early 2016, Dr. Edwards testified twice before the United States House Committee on Oversight and Government Reform on the crisis, and was appointed to Michigan Governor Rick Snyder's Flint Water Interagency Coordinating Committee which is attempting to alleviate the problems it caused. In 2016, Edwards gave an interview to The Chronicle of Higher Education arguing for scientists to work in the public interest. OK! There is a lot to digest about drinking water! You can make the paper broad, or you can focus on one issue mentioned above! But become a Water Expert and know the chemistry! My wife asked me: “Do we have lead in our water at our home?” You should ask that question!